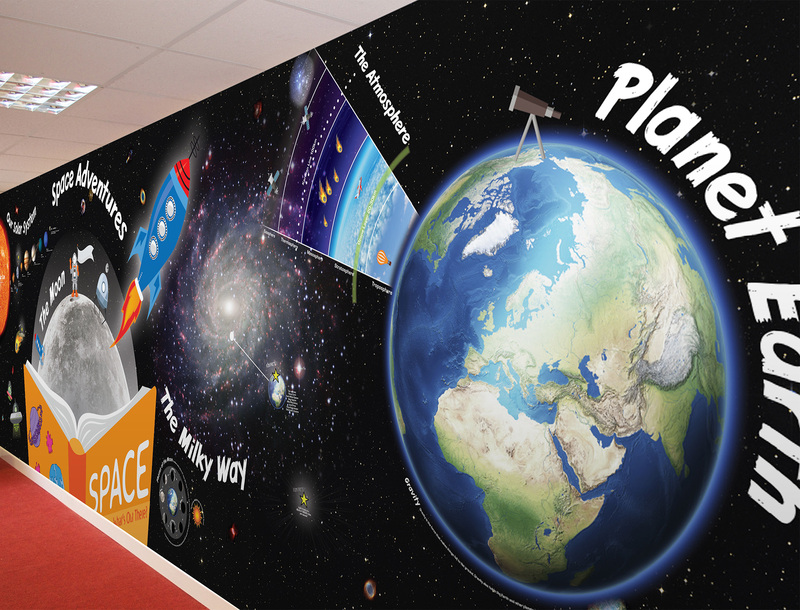 This bright and bold resource features a creative mix of science and astronomy facts, with a dose of imaginative science fiction thrown in for fun! Within the display are a whole universe of elements to discover, as well as many hidden features within the design to seek out. 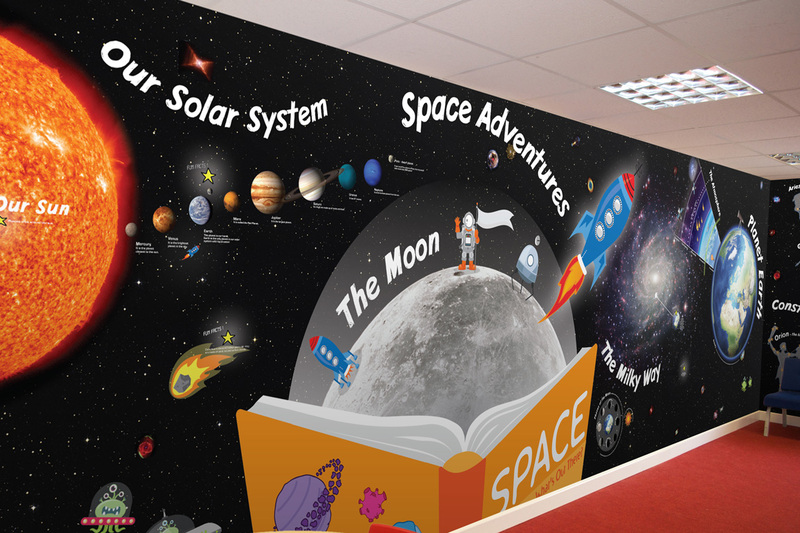 Ideal for a KS1 or 2 classroom wall or corridor spaces. the milky way, the Earth’s atmosphere, gravity, the speed of light, the constellations and space fantasy. Dimensions of the space so we can advise on the size. A description of the area (e.g. high footfall, near a heat source – radiator or direct sunlight) so we can advise on the right material. Photographs of the area (e.g. Reception, Hall, Corridor) so we can assess the right fixtures. We will get back to you ASAP or alternatively contact us on 0121 233 2057 to discuss the possibilities.